Earlier this month, Google released Android Things 1.0, the first stable release for the IoT operating system, and announced several certified SoMs (systems-on-module) based on NXP i.MX 8M, Qualcomm SDA212 & SDA624, and MediaTek MT8516 SoCs. However at the time, beside some information about the processor itself, there was not many details about MT8516 system-on-module. Since then, MediaTek wrote a blog post about their Cortex A35 solution for Android Things & Google Assistant, so let’s have a look. 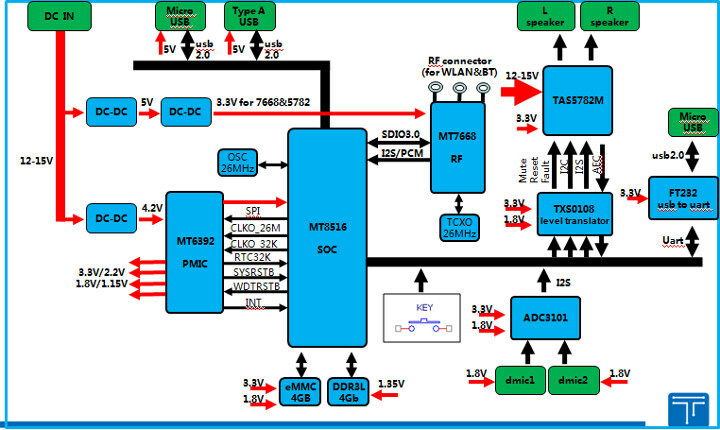 First the MT8516 SoM is not exactly what I had expected, but instead a complete single board computer, and this is why they call it virtual SoM (vSOM). Google defines the latter as reference design provided by the chip vendors and certified by Google. Tonly Electronics – the company that made the board – offers both Android Things and Linux for the platform. For the former, Google will provide security & other firmware updates and fixes, since the devkit is certified, and developers can work with Android development tools, APIs and resources, as well as Android Things specific APIs that provide low level I/O and libraries. 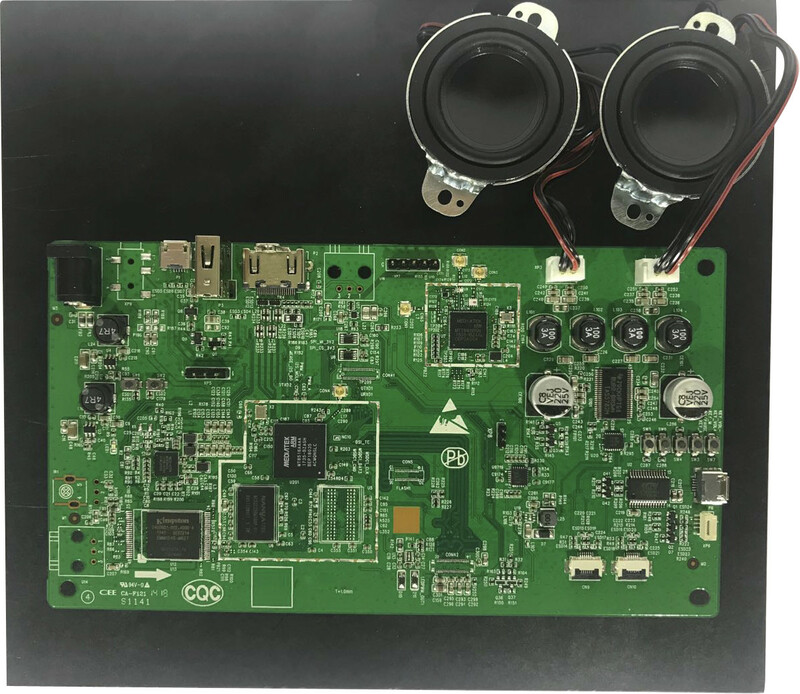 The company also provide a complete development kit with the (virtual) SoM, 8516 SoM, a 12V/1.5A power adapter, two microphones, two 4Ω/3W speakers, and three antennas for WiFi and Bluetooth. You can find more details and inquire about purchasing the hardware on the product page on Tonly Electronics website.